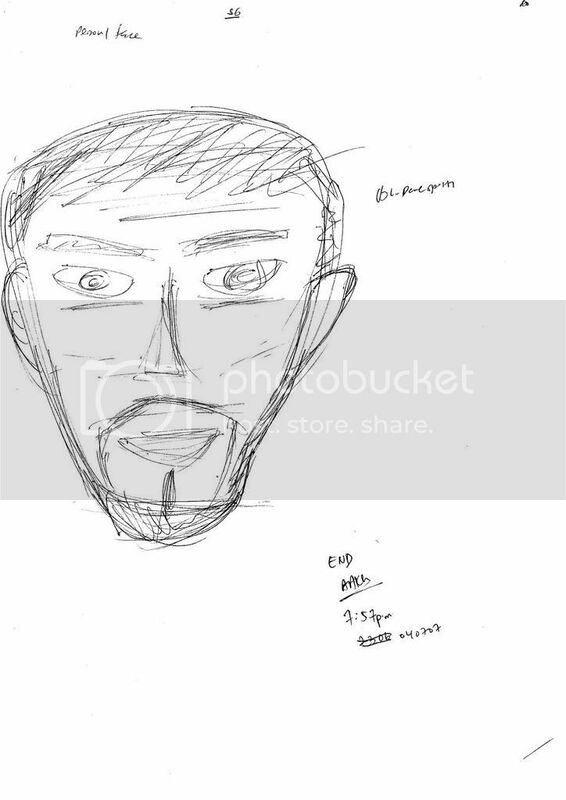 I read a post sometime back on accurately sketching a person's face with RV in stage 6- the accuracy would be that of a professional artist or just as good as if you are staring directly at the face of the person physically and then sketching. The idea of deep penetration into the tissue is also present. While sketching the face(i draw the general outline first then narrow in), i had tangibles and intangibles about the person's face coming in i.e. bushy eyebrows, trimmed beard, etc. I didn't put them down but instead rendered them in the drawing. I was shocked at the accuracy of my drawings when I saw the cue. There was quite a bit of resemblance. I have several questions regarding this technique and hope that experienced Rv'ers could answer them. 2) Can this technique be used to sketch the face of a dead person? Excellent Job! Only those that venture out into unknown territories accomplish what others don't. Stage 6 is a vital stage in Remote Viewing when the visual identification of a target is desired - and most never go that far. I'm very pleased that you did - please keep it up! The more Stage Sixes you do, the better you'll get. There are no limitations to using S6 other than of course your target is a "visible" target and you are proficient and trained properly in Remote Viewing and you draw using the right side of the brain (which is RV "compatible" - thanks for the book reference for those that didn't know about it -it's highly recommended). For those that aren't familiar with Betty Edwards book and course I would suggest that you look into it. Good job you have been doing well in a short time it seems. Thank you for the encouraging words and answering my questions. I will keep it up and double my efforts. 1) Is this prompt an effective way to determine the gender of a person? -I came up with a weird solution and I don't know whether it is even right, I draw a single line like the one below and put male at one end and female at another. The prompt would be person/gender. I then direct my unconscious to choose one or the other and let the pen travel to either side naturally. 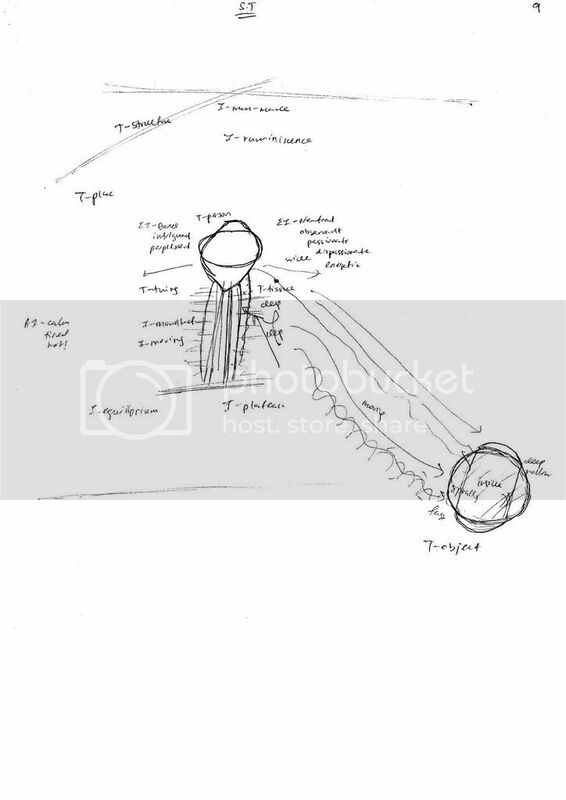 2) While watching the Christina white documentary (the part where Ed mentions 'the beast' that Remote Viewing is when he was talking bout the plant growth that did not show up in the RV sessions because it was temporal) Does a person's facial hair classify as temporal growth or will we sketch that as in my session or will I sketch the person in an as-is format as specified by the cue i.e. Osama Bin Laden/present time will sketch Osama bin Laden's face at the present time with the beard if he is having one at the present time and without it if he is not having one. 3) Lastly, How do I sketch objects, like if I want to sketch gold bars that appear in my STs as just blocks and I want the detail to flesh out in my S6, how would i go about doing that? Do i just write the word "object" and sketch? Thank you very much for this place and answering my questions. And Multi, thanks for the comment, I couldn't have done it without the help and projects here. 1. The easiest way to determine the gender of a person is when you are in S4 of the aspect which is of the person in question. In the "I" column, when you know you are on the person itself (ie, EI's identify him/her), then write [gender], immediately place your pen back on the paper and identify the gender. It is quick, extremely accurate, and eliminates the needs for a long drawn out session all by itself to determine gender. 2. I wouldn't even think about the kinesthetic approach you describe with determining gender unless you are an exceptional map dowser – and then you'd have to do it several times for confirmation. 3. Good question regarding the S6 about facial hair. Honestly, I don't know the answer – you've stumped me. Perhaps Ed can shed some light on this since he would have far more experience than I. 4. Regarding the S6 on the Bob Marley question: the temporal qualifiers in the cue would determine what you would be shown. Cues are taken literal by the matrix and the data is provided in the same manner. 5. Don't write "object" and sketch. Identify the item in your S.T. as an element (ie., label it appropriately such as , etc.) and then do a stage 6 on it - S6. Thank you for the answers and the gender prompt. I do have several follow up questions reserved for a later date which would supplement everyones learning here. Thank you for your attention and the answers. I have a question: who did he sketch? As far as I know I think the general consensus among many RVers is that Osama is dead. I know when I did his present location as a blind target I got columns and a box. And based on what Ed has said about RVing the present location of someone who happens to be dead you will get what I, and some other people I know, drew. Did he draw someone hanging out at osamas' grave? You have misunderstood the difference between the temporal qualifier of present time and spacial and temporal qualifier of present location. Present time = no archetype for time and so you'll know whether the person is alive or dead. If the person is dead you'll get symbolic archetypes of looping motion. If the person is alive you will sketch that person and get EI's relating to that person. The cue was Osama bin laden/present time. Unconscious will interpret that literally and give me that, not someone standing at his grave.